Marketing professionals in today’s competitive platform are making efforts to attract audience towards their products and services. They want to transform their raw footage into stunning videos, and it can be done only if you have good quality video editing software. Although the market is loaded with a wide range of software tools, people find it hard to choose one with professional level features and budget-friendly pricing with so many video editing software available. Some of them are claimed to be free but there will be a big watermark in the exported video clips and which makes it is not free to use at all. Besides the built in video editing software Windows Movie Maker in Windows 7 and iMovie or QuickTime for basic editing in Mac OS, is there any video editing software without watermark in the output video? The great news is that we do find that a few advanced software with high-quality features are even available for free these days, so anyone can start using them to impress audience online. This article will help you collect information about top 5 free video editing software with no watermark available in the market in the exported video clip. If you are new to the video editing world, an easy to use video editor can make you editing process quick and interesting. Wondershare Filmora9 is perfect for helping beginners and intermediate users create stylish videos by providing an intuitive user interface and built-in effects. It supports almost all the popular formats including MP4, AVI, MOV, AVCHD, MKV and more. and you can burn your video to DVD or upload to YouTube, or transfer to any popular portable devices. Check this video to know more. From a long past, VSDC has maintained the first rank in the list of best free video editors available online. This tool is capable enough to assist marketing professionals in creating product demos and how to use videos to improve the knowledge base of their audience. It doesn’t leave any watermark on edited videos, and you will be impressed with the quality of edited videos. This software tool supports a wide range of file formats so that users can create free tutorials and post them on different websites online. Those who are searching for a feature-rich yet easy to use software tool to work on their short video projects, this award-winning tool can provide you with great results. It allows users to trim, scale smoothly, and resize clips while mixing audio information with simple drag and drop tools. Although it doesn’t have multicam editing ability, it is loaded with many other advanced features that make it suitable for professionals; the list includes 3D animation tools and chroma key function. This interactive tool is suitable for beginners who want to create videos for social media and YouTube channels. If you need a professional level video editing software, Lightworks has wrapped many interesting features for you. 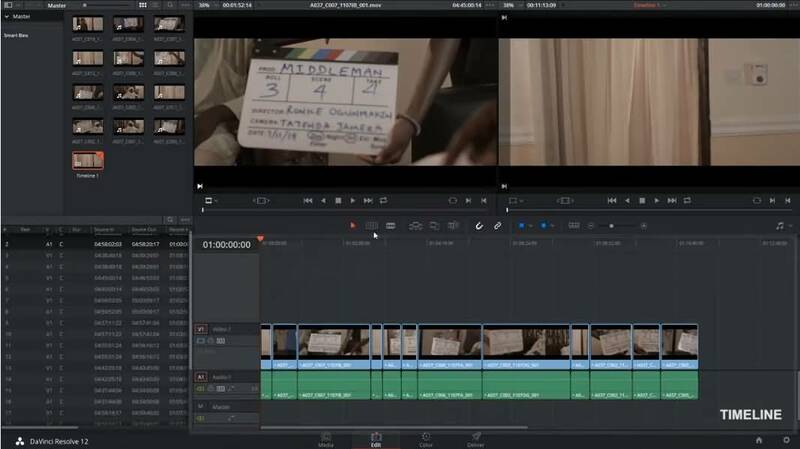 You will be happy to know that this tool has been used for editing popular Hollywood movies like The Wolf of Wall Street and Pulp Function etc. Lightworks does not pose any video length limit rule on users; moreover, its healthy online community assists beginners with top rated tips and tricks to design quality projects. The free version of Lightworks has almost all features of pro version with a limit on output formats only. Learn more details about how to use Lightworks 14. 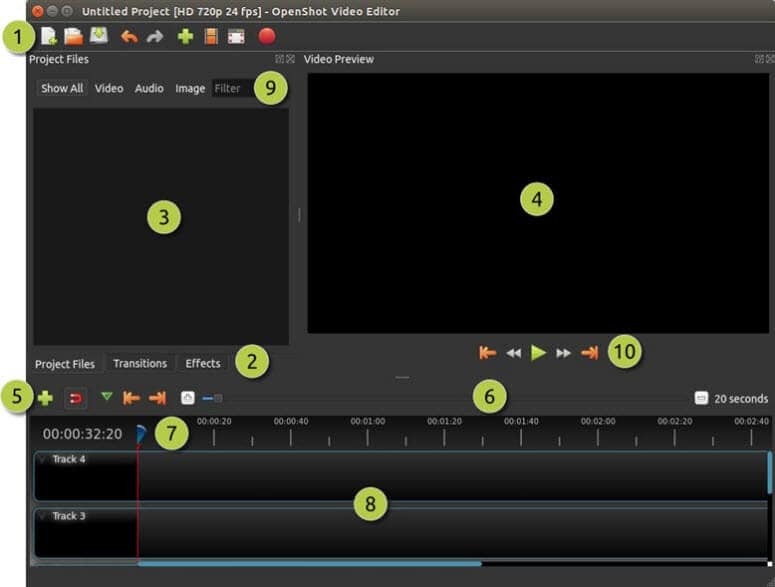 Here is another open source editor that extends support to a wide range of video file formats. Shotcut has a huge community of beginner filmmakers, but they don’t find it hard to use due to its interactive user terminal. There is a wide range of file formats along with awesome video/audio effects and variable frame rates that can help users to design custom videos with ease. One of the most valuable features of Shortcut is its native timeline editing feature that does not require importing projects from the system. It allows several intuitive actions such as locking waveforms and multitracks to create wonderful videos. 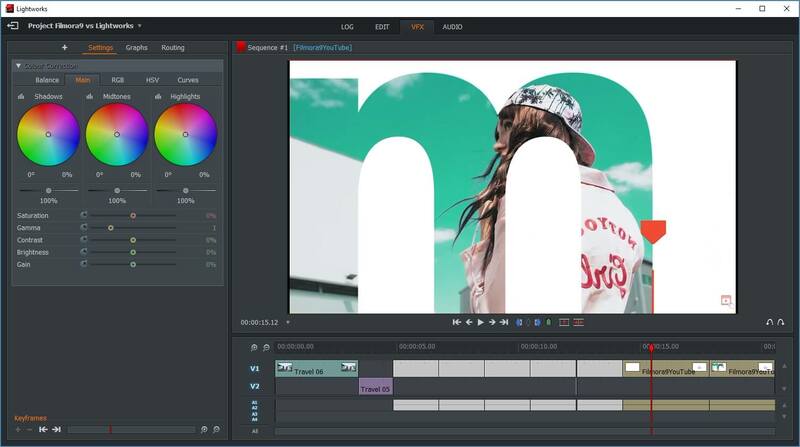 This tool is known for its wide set of professional level features that suit to colorists, editors and professional video makers. You can mix, edit, record, sweeten and master audio signals with the full 3D audio space while working on 1000 different channels. It can also help you to change lip color, brightening eyes, and smoothing skin tones as per the requirement of the video. The great news is that using DaVinci Resolve; many people can work on the same project simultaneously by using its chat, bin locking and timeline merging features. With all such impressive features, this software tool appears more useful for professionals. Please note that if you want to use the advanced features in professional video editors such as the 4K editing in DaVinci Resolve, you need to go to the Pro version. We have done some research and listed some video editors for you to level up your video editing skills. Check out more professional video editing software here. The final selection of video editing tool actually depends upon basic requirements of the user. These five free video editing software are loaded with all interactive features that can make your marketing videos more useful while leading profitable marketing campaigns online. All these tools can be downloaded for free from their official website, and the great news is that they do not leave any watermark on edited projects. If we compare them in general terms; VSDC and OpenShot are known for their user-friendly design where the first one can provide access to professional level features but the second one is limited to the basic interface. Lightworks has a remarkable performance with Hollywood style editing, but the free version has limited output options. ShotCut can provide support to a wide range of functions and formats that editors need more often.